I hope you all enjoy this as much as I do!! Recipe: Cook 2/3 cup quinoa according to package. As the quinoa is almost done cooking add 1 c frozen blueberries to a separate skillet and heat for a few min on med until they start to pop and melt. Next add 1/2 c coconut, almond or regular milk to the quinoa pot and then add the warm blueberries. When you stir it this is what will turn it that magical purple color! 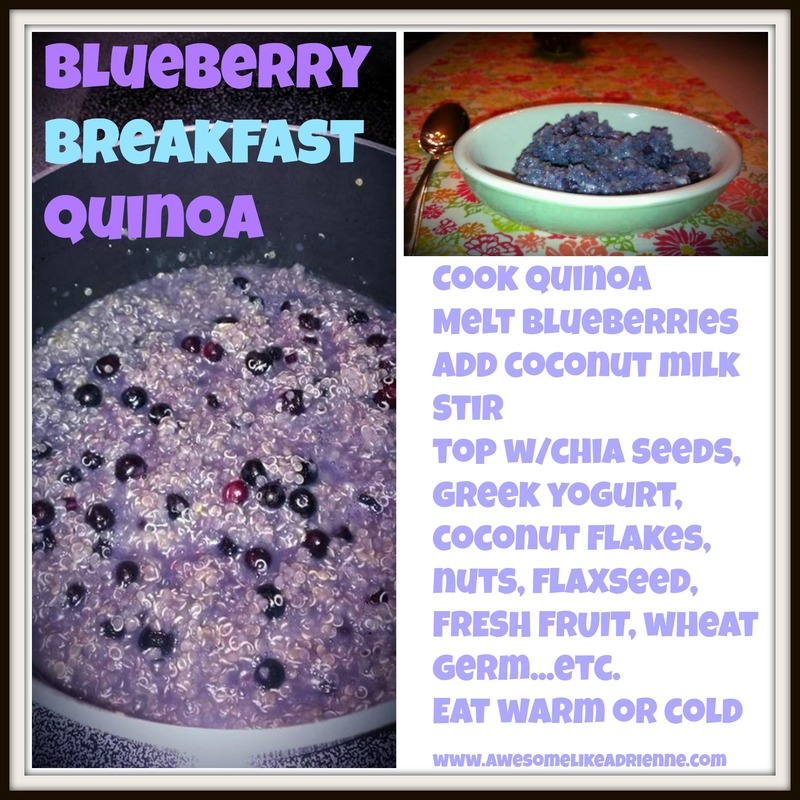 Eat warm or cold and add Greek yogurt, coconut flakes, chia seeds, wheat germ, ground flaxseed to it…you know accessorize it with more healthy stuff! This batch will make 4 servings. Previous Previous post: 5 Days of Different -Follow Up!